The town hall event will be held this Thursday, November 1 at 6:00 p.m. at the Virginia Beach Convention Center, which is free to the public. Delegate Jason Miyares (R-Virginia Beach) has been one of the lawmakers in the Virginia House of Delegates working the most on trying to curtail the rising cost of a college education in the Commonwealth. During his time in the state legislature he supported the business-driven initiative “GO Virginia,” which facilitates greater collaboration between the business community, higher education, and local governments to alleviate impoverished areas. Now, the Virginia Beach legislator is announcing a college affordability town hall to bring together members of the public to find solutions. 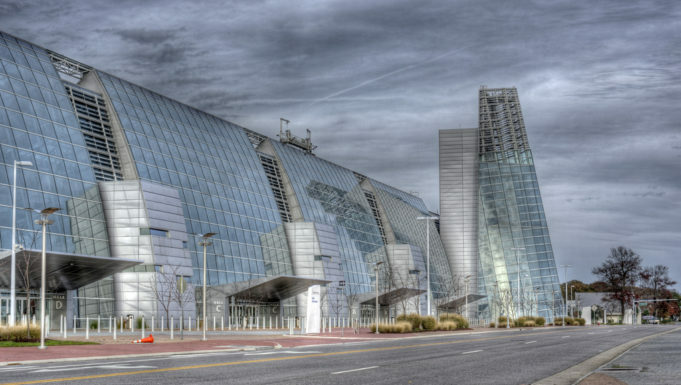 The town hall event will be held this Thursday, November 1 at 6:00 p.m. at the Virginia Beach Convention Center, which is free to the public. 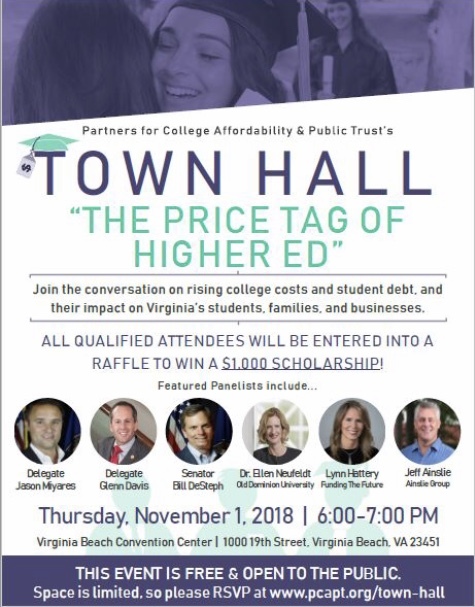 According to the event flyer, the town hall in Virginia Beach is part of a series of events surrounding addressing the costs associated with higher education. The Partners for College Affordability and Public Trust is backing the symposiums. The town hall will include a panel of experts with diverse viewpoints on the issues facing Virginia’s colleges and universities today, including state legislators, college administrators, business leaders, parents, students, and others. A local media representative will serve as the moderator during the hour-long event. During the event, the hosts will facilitate constructive dialogue between the panelists focused on solutions. Panelists will be provided with a list of discussion topics in advance, but there will also be a question and answer session to allow for audience participation.